Clean CARFAX. CARFAX One-Owner. AWD, Navigation, Back Up Camera, Power Lift Gate, 3rd Row Seat, Leather, Auto Climate Control, Heated and Cooled Seats, 10-Way Power Heated Cooled Driver/Passenger Seat, 1-Touch PowerFold & Tumble 3rd Row Fold Flat Bench, Active Park Assist, Adaptive Cruise Control & Collision Warning, Equipment Group 301A, Heated Steering Wheel, Multi-Panel Vista Roof, Power Tilt/Telescopic Steering Column. Odometer is 14255 miles below market average! Shop Friesen Ford - No Documentation fees and small town service. Check us out. 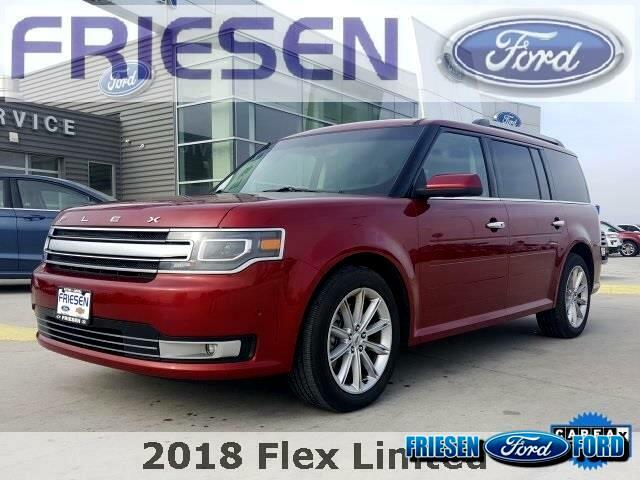 Visit Friesen Ford online at www.friesenford.com to see more pictures of this vehicle or call us at 402-694-3111 today to schedule your test drive. Message: Thought you might be interested in this 2018 Ford Flex.